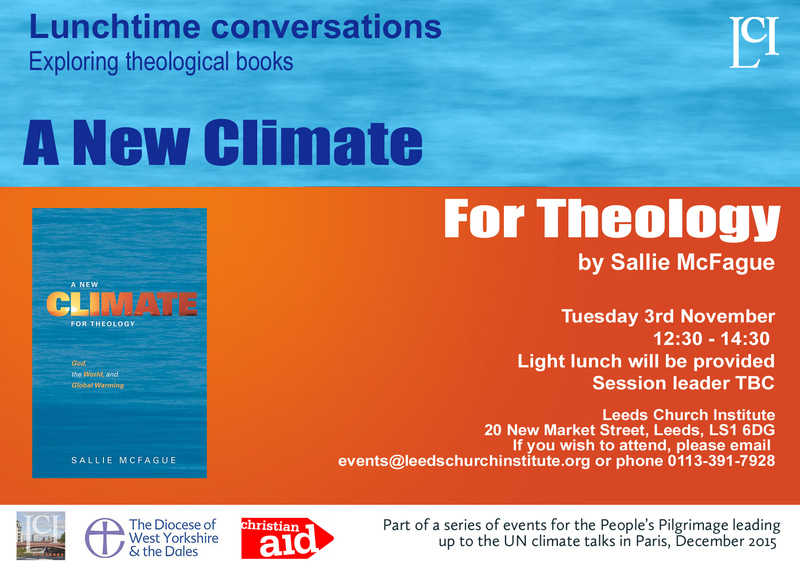 A New Climate for Theology by Sallie McFague Session Leader TBC. A light lunch will be provided. Please email events@leedschurchinstitute.org or phone 0113 391 7928 if you wish to attend.